Known as an exceptionally charming spot in the Pyrenees mountain range, Saint Lary Soulan is the perfect summer holiday setting for anyone who loves traditional architecture and breath-taking natural scenery. First and foremost, Saint Lary Soulan is known for being a beautiful ski resort, and it's easy to see why. 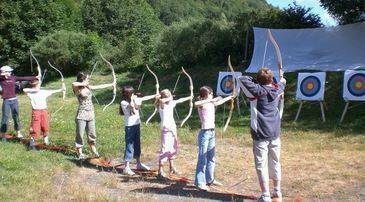 But visits to Saint Lary Soulan in the summer offer just as much, with the resort boasting some of France's most picturesque views, and a range of exciting activities. Whether you choose to enjoy mountaineering, water sports, or socialising at one of the bars of the resort, you are welcomed by the luxury and comfort of a Madame Vacances residence after a long day out. Saint Lary Soulan is located deep in the Hautes Pyrenees department of the Pyrenees mountain range. The world-famous spots of natural beauty Le Néouvielle Nature Reserve and Pyrenees National Park are both situated directly next to the resort and the French border, with Spain is just a 20 minute drive away. This fantastic location means this mountain village gets the very best sunshine and views. Our picturesque property, Cami Réal can be found in the heart of the village, close to the shops, entertainment, and other services. The hiking trails of the resort are just 300 metres from Cami Réal. 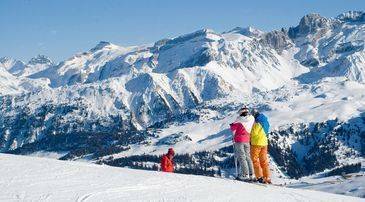 Alternatively, stay at Les Granges d'Espiaude, which is on the doorstep of the stunning mountain paths. Holidays to Saint Lary Soulan are all about the amazing activities on offer and there is no better time to experience the many scenic outdoor ventures than during the summer. Pay a visit to this stunning resort to enjoy these warm weather excursions for yourself. The resort is renowned worldwide among keen cyclists as being one of the best places in the world to mountain bike. Hundreds of visitors on two wheels descend upon Saint Lary Soulan every year to make the most of the challenging uphill climbs, gentle paths, and exhilarating downhill runs which can all be found in the region. With these and a large bike park (suitable for amateurs and experts alike) all located in the resort, it's no surprise that the Tour de France regularly runs through Saint Lary Soulan as part of its route. Water sports are also an excellent choice of activity in Saint Lary Soulan during the summer. Plenty of rivers flow down from the mountains into the village, creating the ideal setting for high speed adventures like white water rafting, canyoning, air boating, and hydro speeding, which consists of clinging on to an inflated dinghy for dear life as you speed through the fast and foamy rapids. More relaxed ways to enjoy the mountain waters include soaking up the sunshine and taking a lazy dip in one of the cool calm lakes. Guests who prefer to stick to dry land are welcome to enjoy the shops of Saint Lary Soulan. There are some wonderful shopping experiences just waiting to be had in the resort. Avid shoppers can browse through some stylish boutiques showcasing the very best of French fashion as well as purchasing souvenirs for friends and family back home. As well as this, there are some handy sports equipment shops situated in the heart of the village, conveniently close to both Madame Vacances' properties. Lovers of history will find some incredible exhibits at the local village museum. This fascinating gallery puts centuries of mountain life on display, so visitors can get truly stuck in to the traditional culture of their surroundings. The museum also gives an in-depth insight into the local wildlife. Animal lovers can explore more of the mountain fauna by visiting the village association centre, which houses rescued and orphaned animals. Being so close to the Spanish border, it would be a shame to visit Saint Lary Soulan and not make the most of the close proximity to France's Mediterranean neighbour. A great day trip during your holiday could be to make the half hour drive to Spain and experience the Catalan side of the Pyrenees and all of its rustic towns and villages. There are just over 30 different venues where guests can find something to eat in Saint Lary Soulan. Some of these are hotel restaurants and others are quiet, family-run eateries. Whatever style of dining you're looking for, you're sure to find it in the village. As the resort is close to the Spanish border, there is a clear Catalonian and traditional Spanish influence on the local cuisine; one of the most Spanish themed eateries in the resort is Le Gros Minet, which can be found just off the main road in Saint Lary Soulan. Favourite local delicacies revolve around local ingredients and fresh light flavours. These and more can be enjoyed at the mountainside venues like Chalet de l'Oule, which provides breath taking views of the Lake d'Oule as well as delicious dishes. There are, however, plenty of more international options on offer at family-friendly cafés which serve home from home food like sandwiches, chips, and pizza. Saint Lary Soulan is not the number one choice for nightlife lovers, due to the generally relaxed atmosphere of the resort. That said, there are still plenty of options for enjoying a drink and a chat with friends, both old and new, well into the evening. Le Desman and L'Izard Café Central are both bars in the heart of the resort which serve reasonably priced drinks and boast a friendly local crowd. Le Fitzroy and Le Kinito are both popular with tourists and guarantee a good evening out. There is only one nightclub, Xtra Dance, which is located just on the outskirts of the resort. Alternatively, some tame nightlife action can be enjoyed at the local cinema, which stays open until late. During the summer there are two lifts which service the resort. They are the Pic Lumiere cable car and the Soum de Matte ski lift which runs from the centre of Saint Lary Soulan up to the mountain bike park. Lift passes can be purchased at the local tourist office or online from the resort's website. Halte Garderie Municipale is a children's day care centre in the village of Saint Lary Soulan which stays open every day from 9am to 6.30pm and caters to children between the ages of three months and six years. Another option is to hire a private babysitter. A full list of fully qualified nannies, au pairs, and even holiday tutors can be obtained from the local tourist office. There are some free car parking spaces in the village of Saint Lary Soulan 1700. In the heart of the village there is a spacious car park which will be easy to park in, especially during the quiet summer season. Parking usually costs around Eu38 per day and there is easy access to the car park from both of Madame Vacances' residences.